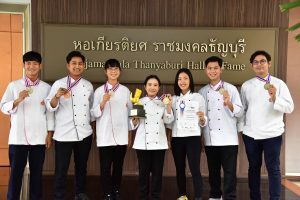 RMUTT received Golden Medal from TICC’2018 cooking challenge. Students from Rajamangala University of Technology Thanyaburi (RMUTT) won the Golden Medal from Cooking Burger and 6 prizes from the TICC’2018 food competition. Thumb up! 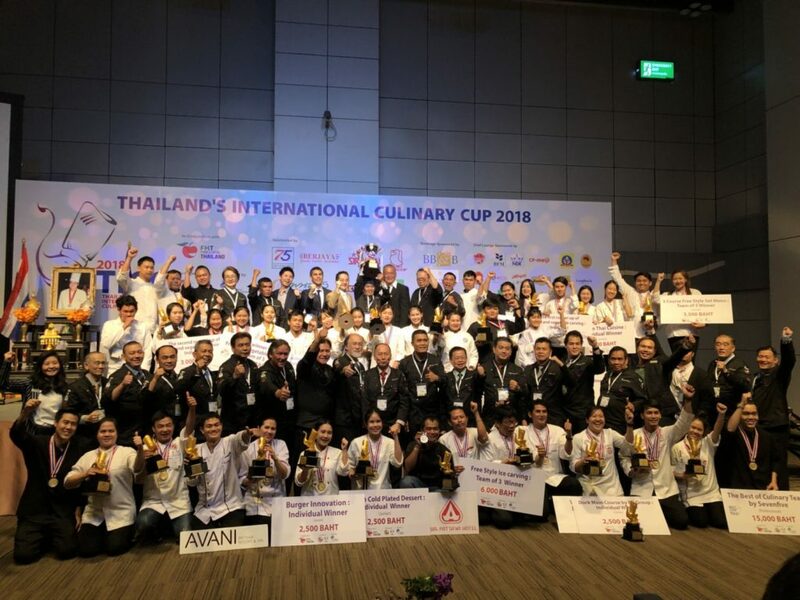 For the students and teachers from RMUTT, which shown the great skills in International Culinary Cup 2018 (TICC’2018) within the Food and Hotel Thailand 2018 event, organized by the Thai Chef Association in collaboration with UBM Asia (Thailand) at the BITEC Bangna Exhibition Center. 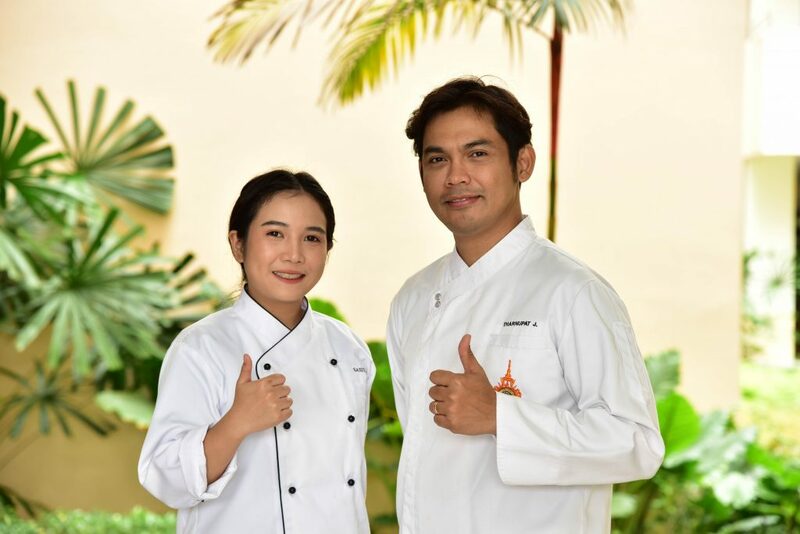 Professional Hotel Management and Services Faculty in Liberal of Arts, Rajamangala University of Technology Thanyaburi has received 5 rewards. 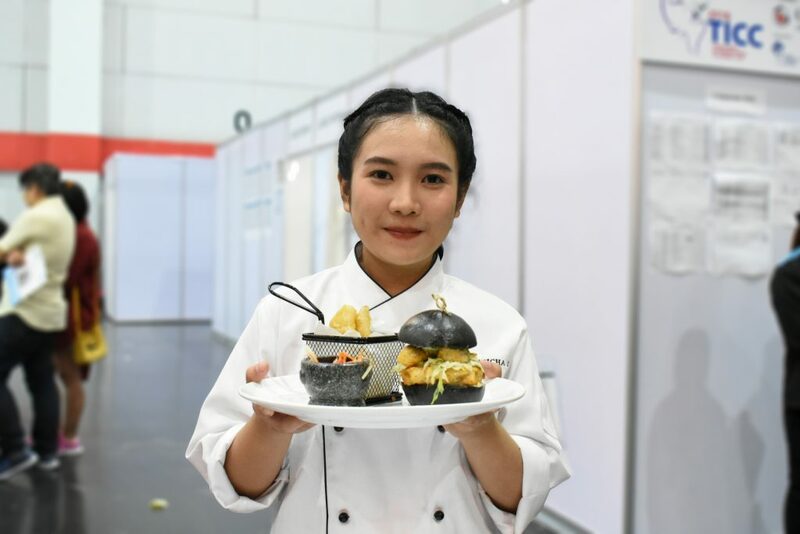 Beginning with Miss Sasisha Cheansuksak (Tai), 3rd year student who won a gold medal from Burger Innovation competition. 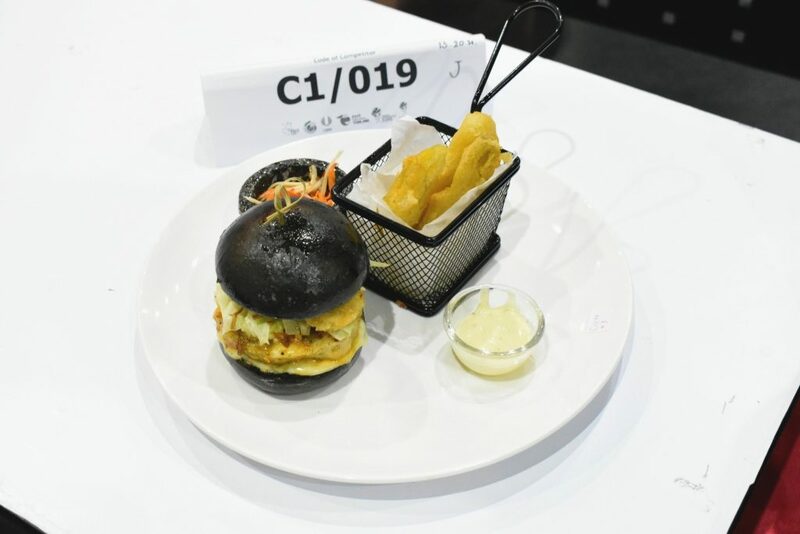 She told that her Chu-Chee Seafood Chaco Burger, lemon mayonnaise and spicy avocado sauce with Stir-fried cabbage with fish sauce presented difference from typical burger that used only fresh vegetables. To serve the burger with papaya salad and potato chips and sliced soft meats in a soft black burger bun. All these ingredients represent the colorful with interestingly contrasting and the good taste of the special burger. Therefor she could get one more reward, named The Best Burger Innovation. 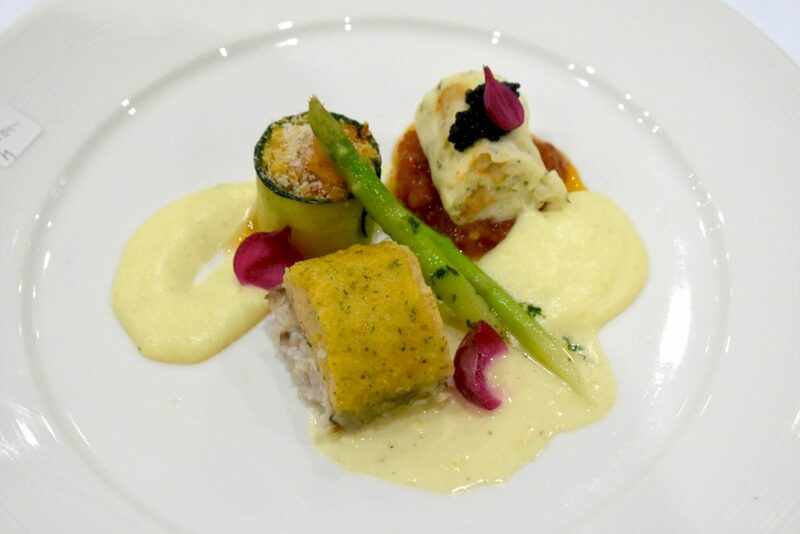 “Food is the interesting art, which could be able to learn every time. 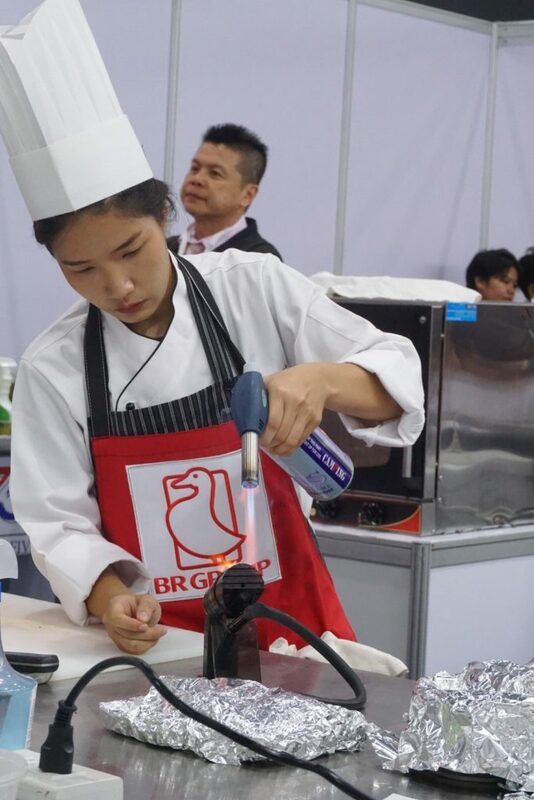 This competition is opening an opportunity, different from studying in classrooms. I am so proud that I could be able to build a good reputation for my clubs, university and family”, she said. 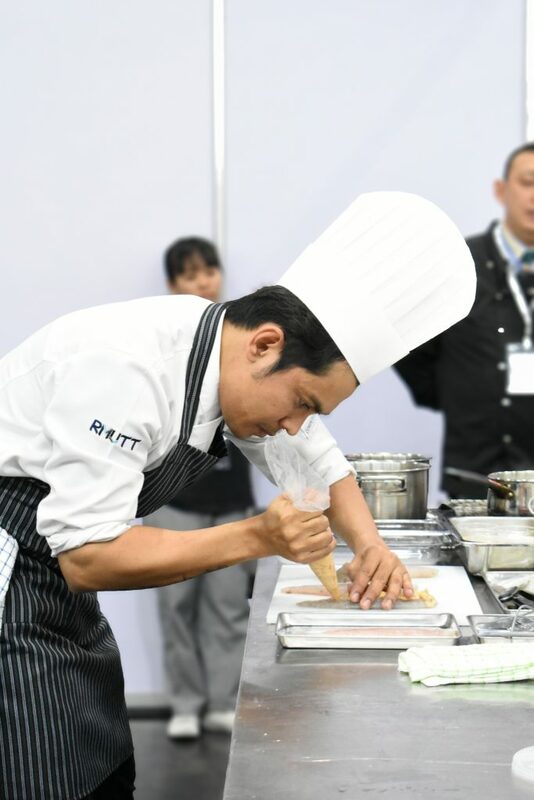 Mr.Panupong Tonwut, 2nd year student who won a silver medal from Seafood Free Style competition. 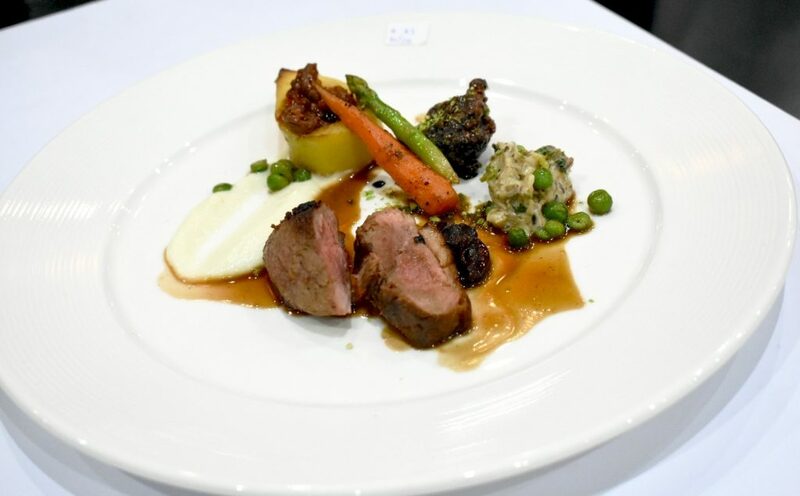 His dish used shrimp, squid, scallop, crab and sea bass as the main ingredient to make moose. Then roll it up in the nice shape with Zucchini and combination with stir-fried fresh French vegetation, mixed with cream sauce and tomato sauce. “For any challenge if there are planning and practices very well, that will gain more opportunity than other people. 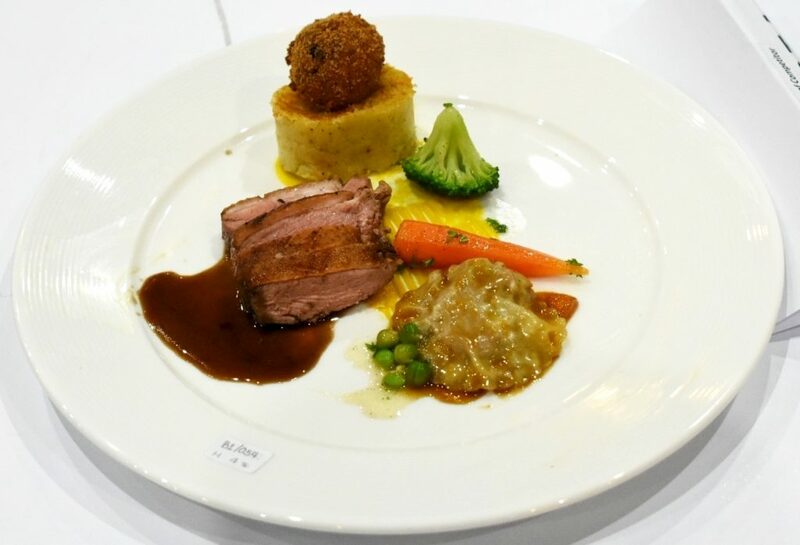 Compound with special cooking as greater than just basic cook and still keeping a good taste with creativity under time limit are the main significate factor to increase the opportunity to win”, he said. 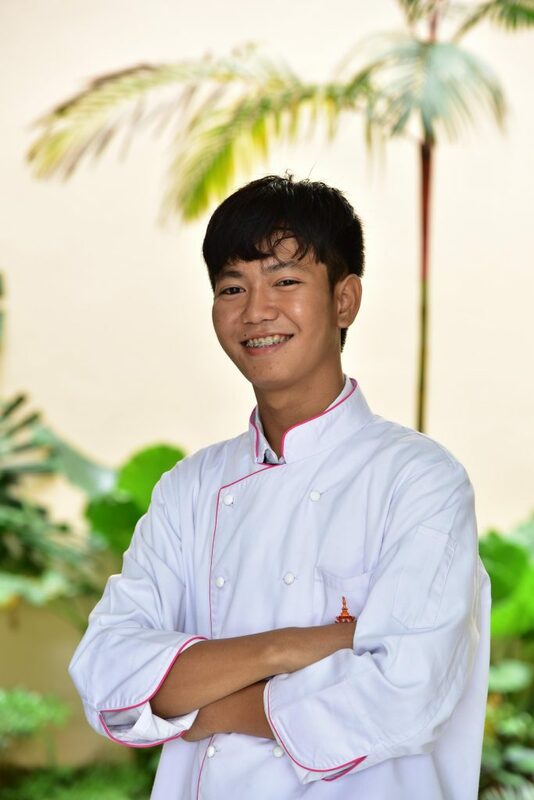 Mr.Pongphon Somboonpong (Boss), 2nd year study who won a bronze medal from Duck Main Course. He grilled duck chest with butter and herb, and blended duck calves as a moose. Some of the blended duck calves was then breaded and fried. The contest committee gave the beneficial suggestion for him. He is going to share the knowledge to his friend in the club. “This is just the beginning experience of the cooking journey. If the plan is great, all situation will be under control very well as well”, he said. 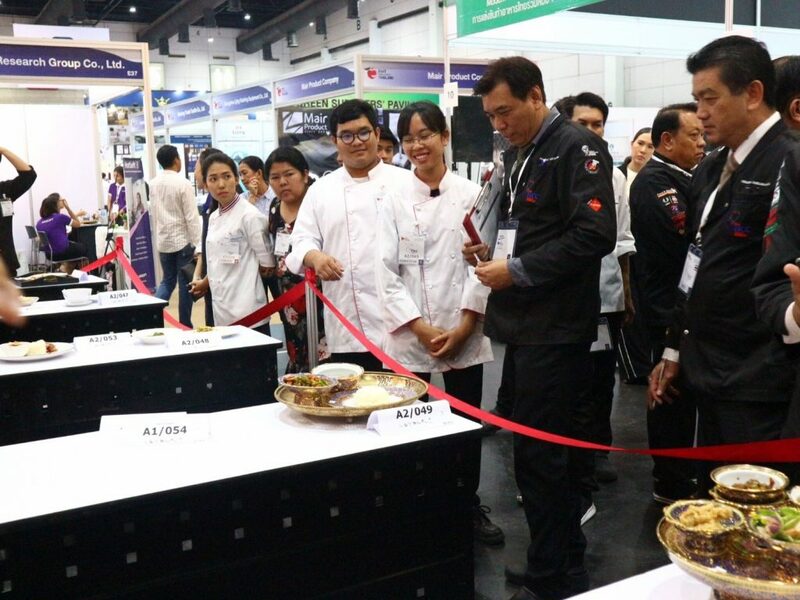 Lastly, Miss Anchistha Lampai (Miew), 2nd year student received the certificate from Duck Main Course competition and Professor. 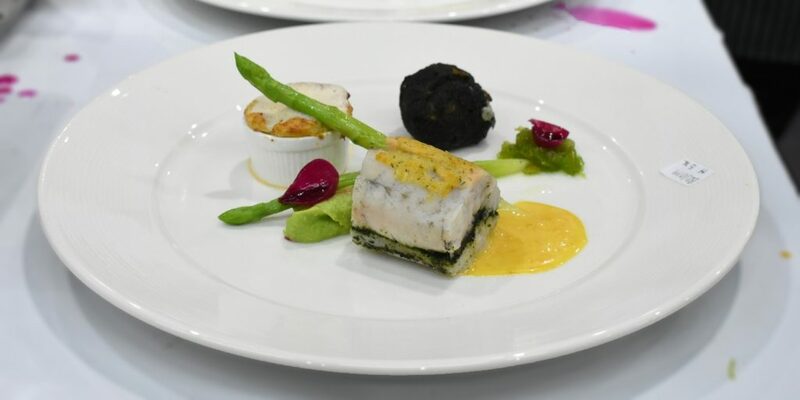 Thanupat Chitpakdeepornrach, club advisor, has been participated in Seafood Free Style competition and won a silver medal. Faculty of Home Economics Technology, RMUTT also won 2 rewards from this competition. 1st reward has made by Mr.Pratiphon Nilrong (Bank), 1st year student who won a silver medal from Street Food Competiton. 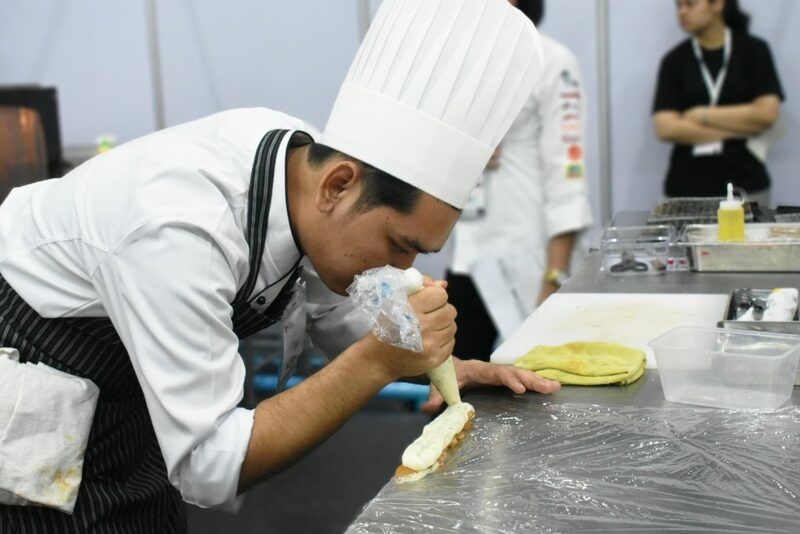 He told that he extended his knowledge from studying at the vocational level and RMUTT to create the Japanese pizza. 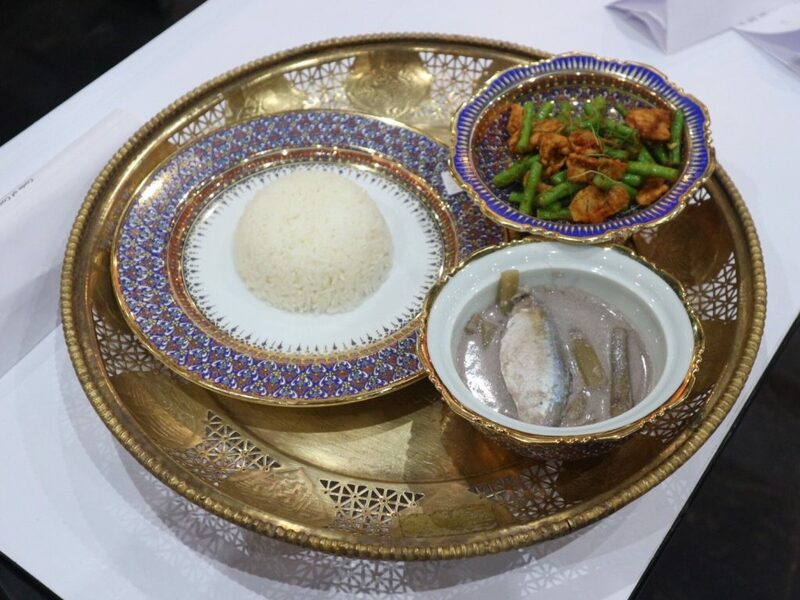 This street food dish focuses on the ingredients of dried King mackerel fish, seaweed, shrimp and bacon, and quick serving with his own designed package. “I would like to continues going to experience in the next competition”, he said. 2nd reward was from Miss Chantima Talan (Puiphai), 1st year student who won a silver medal in Thai Traditional food competition. 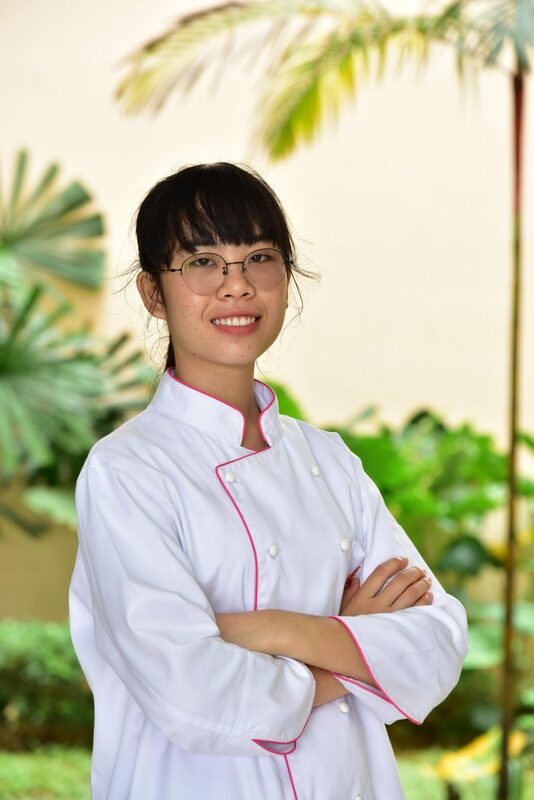 She represents boiled coconut mild with lotus stem and stir-fried pork with ginger, served with steam rice in the one of famous and unique competition. 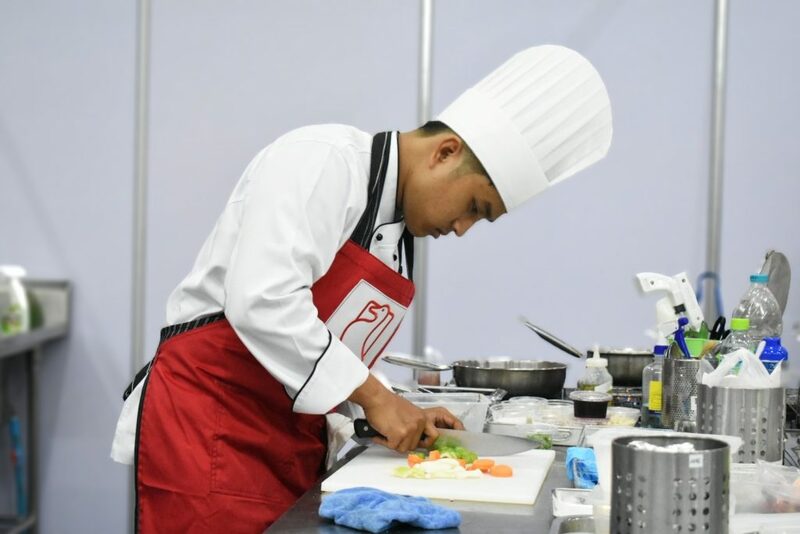 Having opportunity to participate in TICC’2018 competition is considered as an extension of learning path through real action, which could indicate the potential and ability of students to show that they are ready to jump into the real food world job.